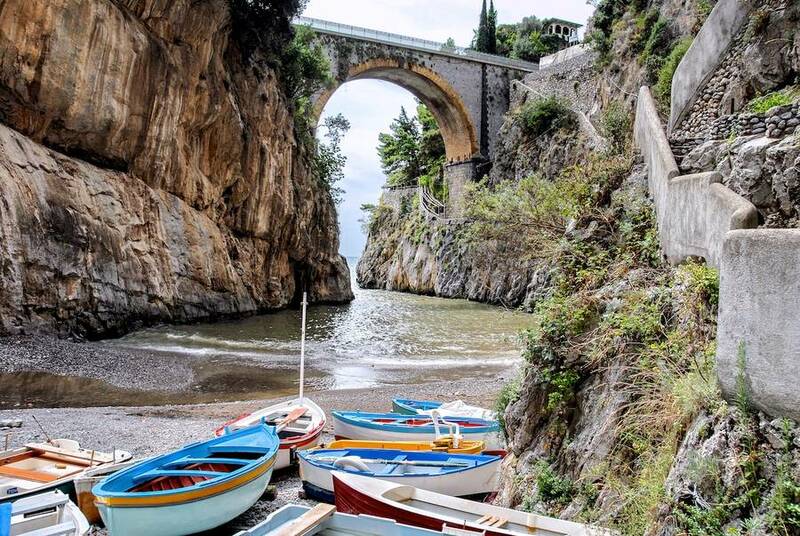 The dramatic Fjord of Furore and the beaches which catch the last rays of the day on the Coast. 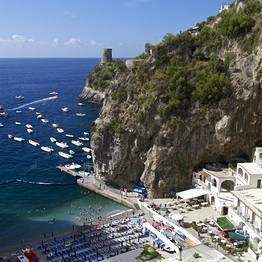 The town of Praiano has a number of beaches, including the only beach on the Amalfi Coast to enjoy the sun until it sets. 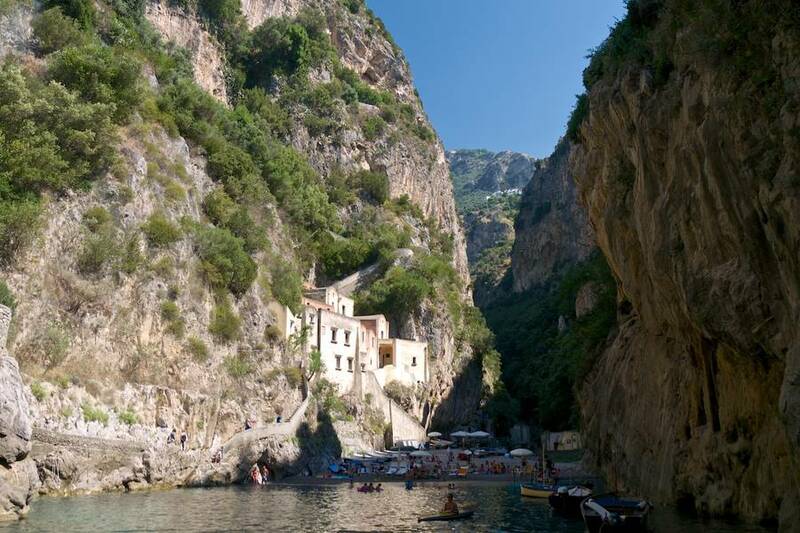 The nearby village of Furore, famous for its fiord, hosts a spectacular diving competition, each summer. 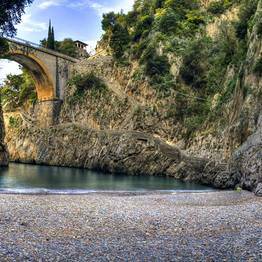 The Furore fiord is one of the most fascinating geological features on the entire Amalfi Coast. Furores beach, easily visible from the bridge which spans the width of the fiord, is located directly opposite the old fishing village, which has now been transformed into a museum. The 25 meter long beach, was originally used as a landing stage for commercial craft. 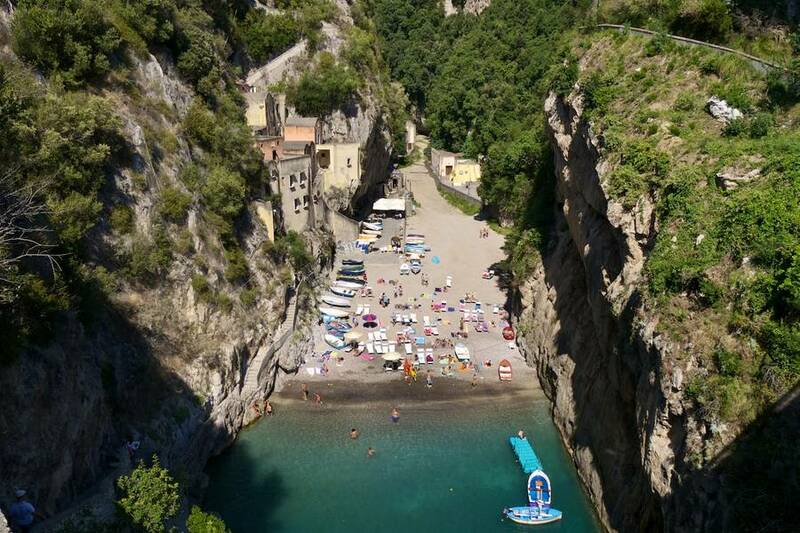 Furore beach only catches the sun in the early hours of the morning and, as a consequence, never gets too hot, even in high summer. Close to the bridge spanning the fiord (km23 on the state road) a long flight of steps leads all the way down to the beach. 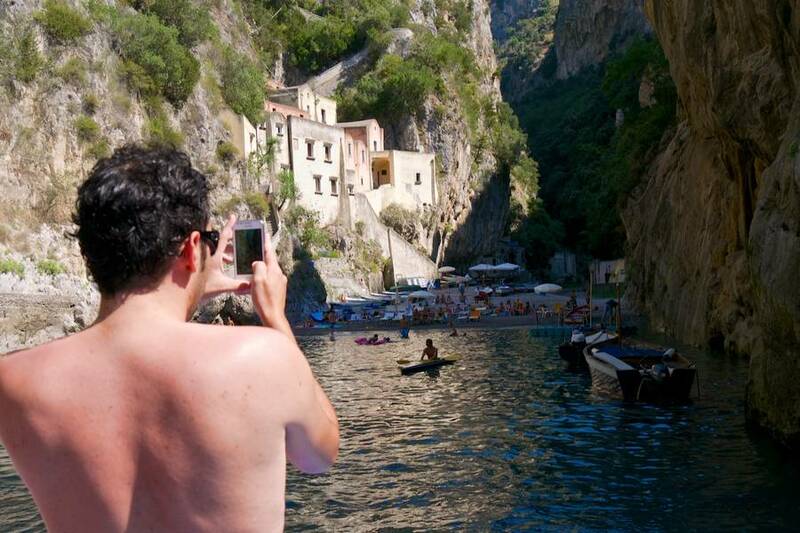 By car: cars cannot access the Furore fiord or beach, and there is no available parking space in the vicinity. Motorcyclists can park their bikes on the edge of the state road. 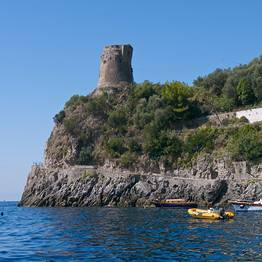 A pebble beach, at the foot of the cliff on which an ancient Saracen watch tower (the Torre a Mare) takes pride of place. 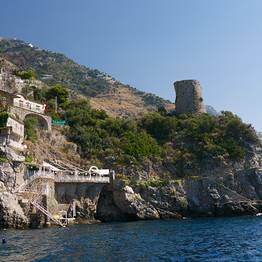 It is from the beach of Marina di Praia that one of the Amalfi Coasts most romantic coastal walks begins, taking visitors all the way around the cliff, beneath the tower. 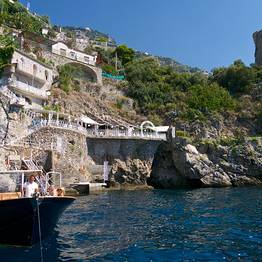 The beach is home to a number of excellent restaurants and the Africana, arguably the most fashionable dance club on the whole of the Amalfi Coast. Given its position, the beach catches the sun only during the central hours of the day. 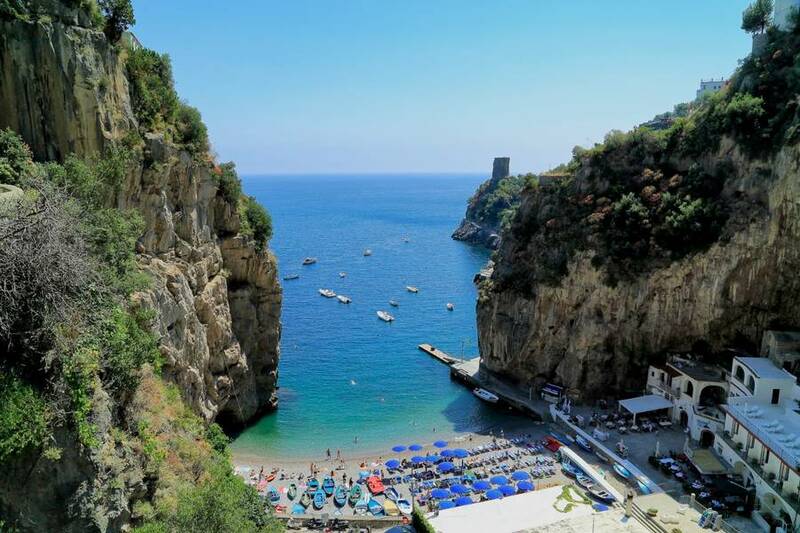 Marina di Praia is linked to the main SS163 by a by-road, situated just before Praiano town center (if you are traveling from Vietri sul Mare). 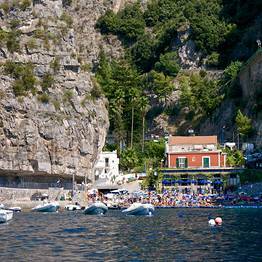 By car: drivers can park their vehicles along the stretch of road leading to the Marina or, in the summer months, in the private car park. 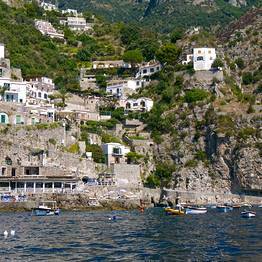 By public transport: Sita buses " Positano - Amalfi line". 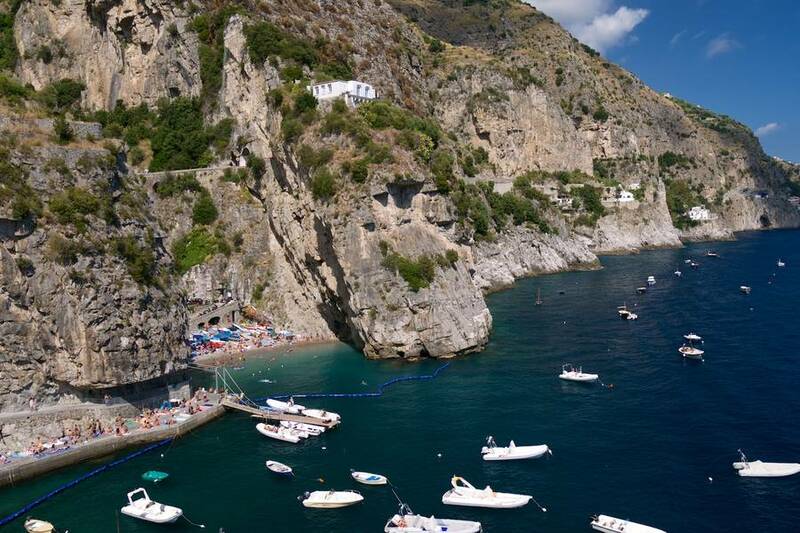 One of the Amalfi Coasts most-loved beaches, Gavitella is famous for its spectacular view of Positano, Li Galli and the Island of Capri and its magnificent sunsets. 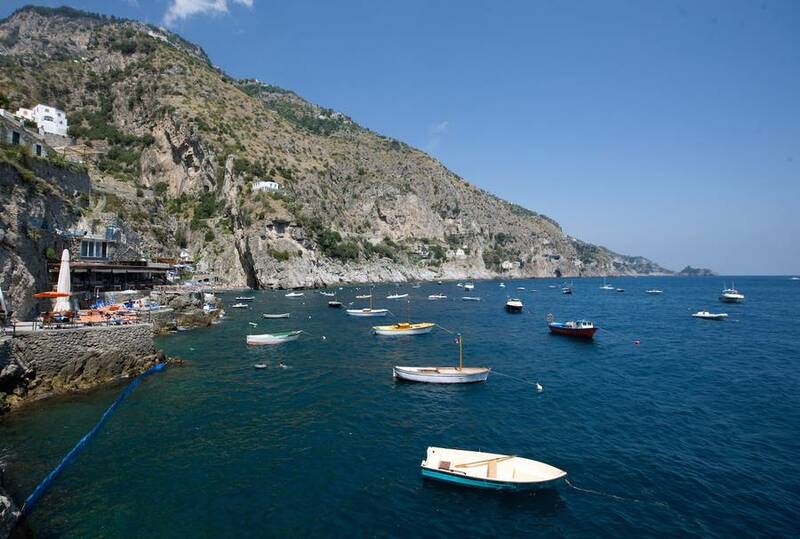 All of which more than compensates for the steep flight of steps youll need to climb down to get there. 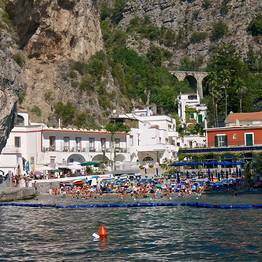 A shuttle boat links Gavitella beach with both Marina di Praia and Positanos Marina Grande. 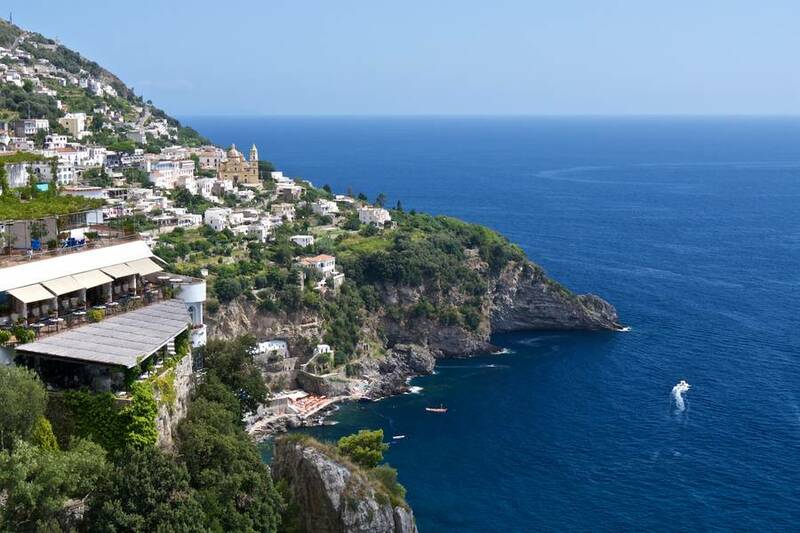 The service is available free of charge for guests dining at Gavitellas restaurant. From Piazza San Gennaro, Praianos main square, walk along Via Masa for 50 meters or so, until you come across the flight of steps (there are a total of 413!) 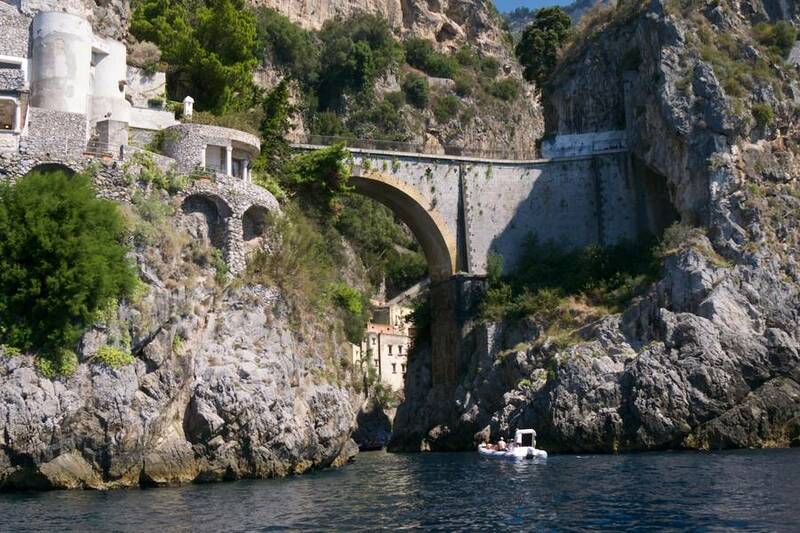 leading down to the beach. 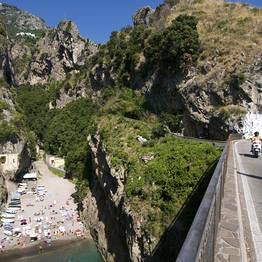 By car: leave your vehicle in one of the public car parks in the center of Praiano and walk to the beach, following the signs. 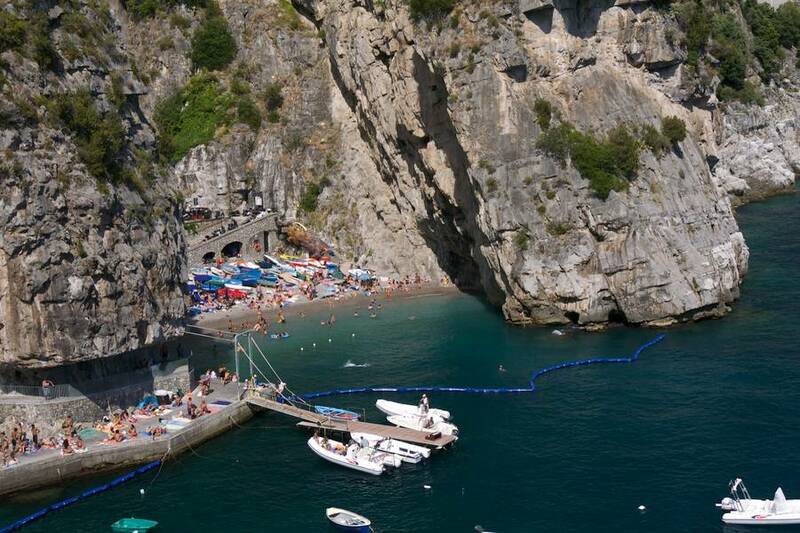 Alternatively, you can park near to Marina di Praia beach and, from here, take the shuttle boat to Gavitella.